Walter and Eliza Hall Institute researchers have generated the first 3-D map of the cancer-associated protein DCLK1, revealing how it functions. 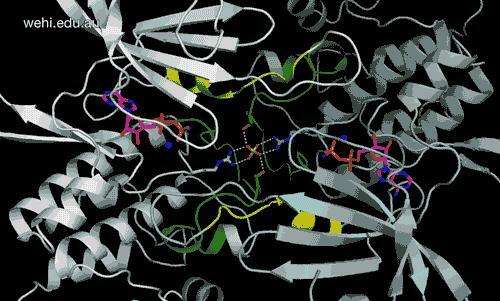 “By looking at the structure of the kinase domain at the atomic level, we can now understand the effect of cancer-associated mutations located in this region,” she said. “These mutations can lead to a non-stop microtubule building by DCLK1, and consequently chaotic cell division that is a hallmark of cancer.